I hope you all had a great start in the weekend. I have been making my way through all the bronzers I have here to show you. If you are about to decide for a bronzer, give me a few days to share all my thoughts with you. It is incredibly exciting to see how different they are and how they can change the look. Sometimes it is hard to capture the effects with the camera but I will try my best to explain in words as well. 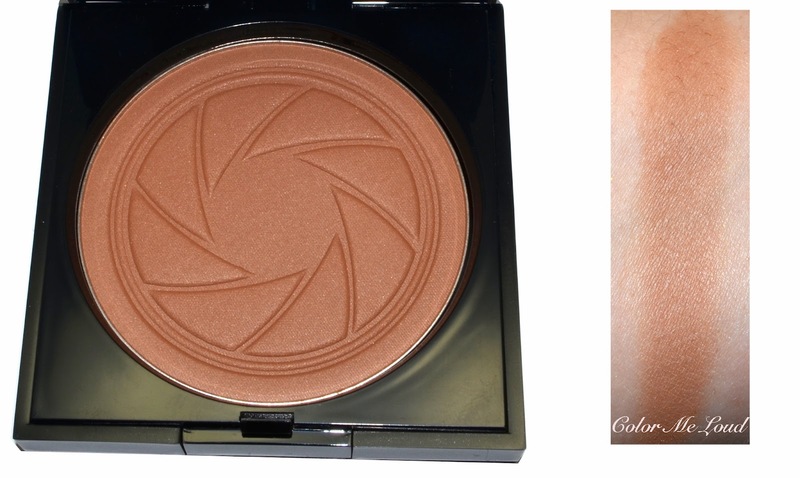 Today it is not only about a bronzer, but it is about a matte cool bronzer, which is one of my all time favorites for "contour/bronzing" product at the moment. I also like combining it with the new highlighter from Smashbox, which is very flattering on my skin tone. Everything... after the jump. 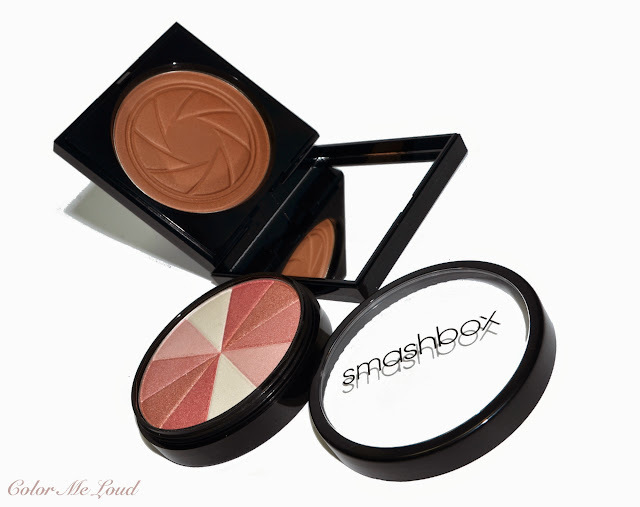 Smashbox Fusion Softlights Baked Starblush joins the permanent line-up as the third shade to their Fusion Softlights products which are baked highlighter. 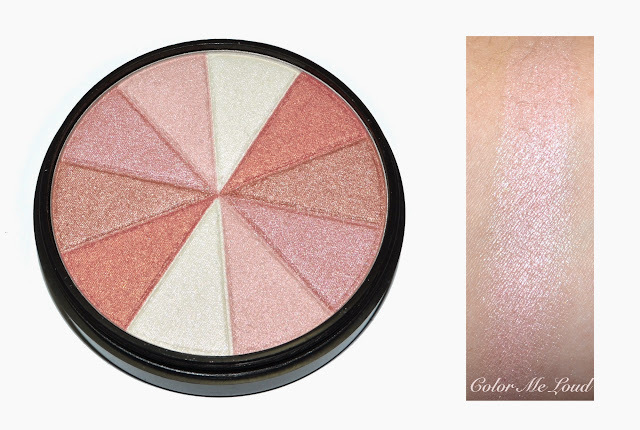 The former shades consist of one warm highlighter (Baked Starburst) and one pastel/white highlighter (Fusion Lights). Baked Starblush has a pink tone and it is very brightening on the cheeks. As it has a slight blush quality on my skin tone, I can apply it over the bronzer and get along without an extra blush if I am going for a natural bronzed slightly flushed look. I really like how well Smashbox products photograph and Fusion Softlights Baked Starblush is no exception. Although Starblush appears very frosty, on my cheeks it looks very natural and not too harsh. I have to mention though, I don't have oily or combination skin and my pores are not very visible, so I can't really test how it gets along with these. After using Smashbox Fusion Softlights Baked Starblush heavy duty (because it is really flattering on my complexion) I have seen that the middle section wears off much faster and some parts of the powder surface is hardened. It doesn't make much of a difference with the application but I thought it might be important to note. The compact has a generous 8.5 g of product and it costs around 33 EUR, which is a very good value for the amount of product you get. Now the star of the show, Smashbox Bronze Lights Deep Matte is a bronzer which blew off my mind. You don't hear me write this very often but here I really mean it. This shade has the perfect balance between cool and warm. If you are a natural undertone gal like myself, you need this bronzer. I included some shade comparison below to give you a better idea. The powder is very finely milled and doesn't kick excess powder during application. It has a beautiful camera shutter design which stays for sometime. Mine is still intact although I used it almost daily for a few weeks now. The compact has 8.3 g of product and costs around 32 EUR, which again I think to be a good price. Here are some comparison swatches for your reference. The Balm Bahama Mama is the coolest bronzer I have which I rather use for contouring. You see that all the other bronzers I own are rather warm or a little lighter, such as Hourglass Ambient Lighting (or Chanel Lumber D'Ete which has the same tone), Guerlain 4 Seasons #03 Natural Brunettes and original Guerlain Terracotta #02 Natural Blondes. Guardian Terracotta 4 Seasons #08 Ebony is deeper and redder. You can see that how natural and beautiful the shade Deep Matte is. It might be a little too deep for lighter gals but you can easily apply bronzer with a squirrel fluffy blusher brush and take some of the product at the back of your hand so it is not over applied. 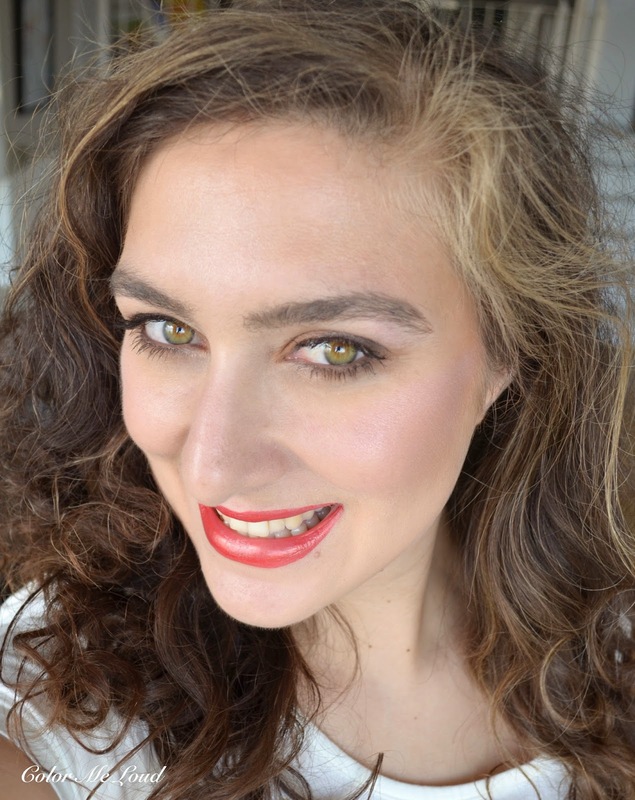 Here the the FOTD from Laura Mercier Sunblaze lipstick/Bobbi Brown Taupe Eye Stick look. As I mentioned back then, I didn't use a blusher for this look but since the bronzer provides enough color, I think I can get along with it. I used Smashbox Bronze Lights Deep Matte as bronzer and Fusion Softlights Baked Starblush as highlighter on my cheeks. I applied the highlighter with a Tom Ford Blending Eye Brush on the top of the cheekbones, around the bridge of the nose and on cupid's bow. I also dusted a bit of that on my forehead lightly. Here is another look I shared during my Sisley Photo Eye Twist review. I am wearing Smashbox Bronze Lights Deep Matte as a bronzer combined with a touch of Tom Ford Wicked to balance it with the lipstick. Here I applied the highlighter with a fluffier brush, so its effect is less apparent in the picture yet still there. 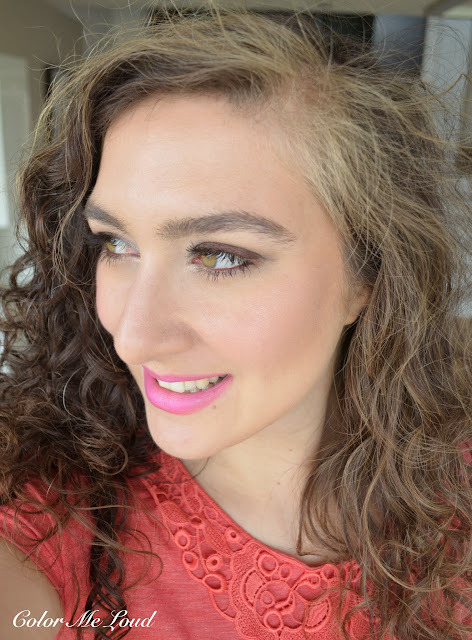 Also check out Kiss & Make-up Beauty Blog for more swatches and a gorgeous FOTD. Final thoughts: Both of the new Smashbox products are winners for me but I am especially excited about the Deep Matte Bronzer. The powder quality of this is top, has a generous amount of product, the shade wouldn't turn orange and it gives a nice natural sun kissed look with natural undertones, for just 32 EURs for 8.3 g of product. I think it is safe to say, if you are in the market for a matte bronzer, you need it! Do you like natural undertones and matte finishes in your bronzer? Or are you in for some golden glow? Oh wow! The coolness in it is really obvious when compared to the other bronzers! Hey Sara, hmm to be honest I don't think I own a cool-toned bronzer! I guess I would be interested in trying one, but I use bronzers to add some warmth and I can get away with pretty warm-toned options. I can see that there is a market for not-so-warm bronzers tho! I think you can wear the warm ones quiet good. A cool bronzer would make a great "contour" shade for you though since all the contour powders are even cooler. I compared Deep Matte to Kevyn Aucoin Sulpting Powder and Kevyn Aucoin is cooler. Aw, thanks for the link love, Sara! I'm so glad you love both products as well! I haven't tried anything from Smashbox for a long time. I remember buying their eye shadow palette, which I hardly touch :-( You look great with bronzer on, Sara. If you find Bahama Mama to be too deep, this one might be for you. Both of them are nice for a contour too. I am around NC20 myself, it works for me. This one is one of the coolest bronzers I have without being too dark (Bahama Mama from The Balm is cooler but also deeper). I apply it with a fluffy squirrel blush brush though so it applies rather sheer. You can also get a part of the product at the back of your hand before application. What kind of brush do you use with your bronzer? Thank you, Sara! I think I might get the bronzer soon (if not even tomorrow :)). With my bronzer I use the Real Techniques fluffy blush brush und like it a lot as it is soft enough to control the amount of the product really well. Thank you again for that review! I have been really wanting to try this bronzer. thank you so much for your swatches and review!